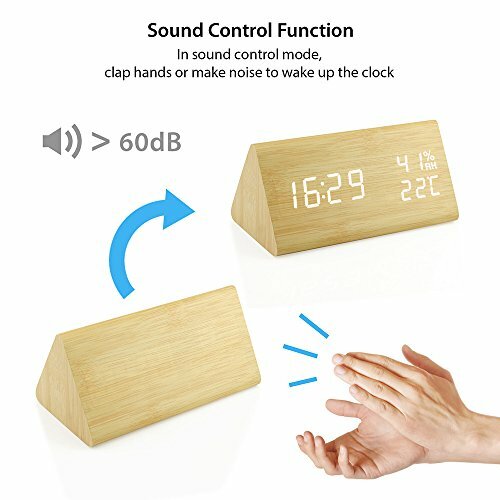 Add a touch of modern to your bedroom, living room or office with this sleek and elegant looking voice control eco-friendly alarm clock that matches perfectly with any modern designed office or home furniture. 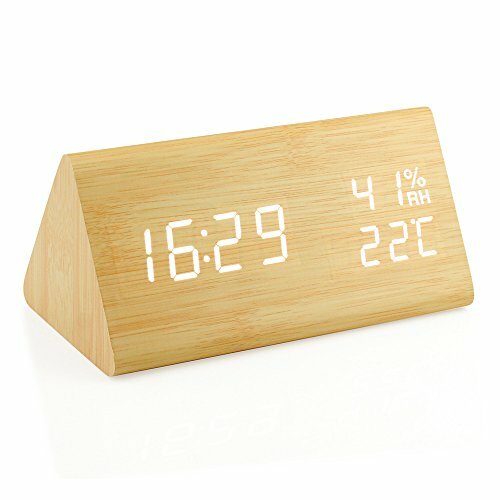 Designed for simplicity, there are no buttons or plastic parts on the front and sides of the clock. 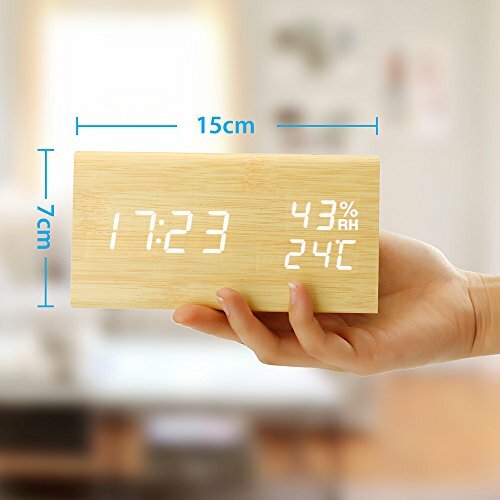 It displays time, date, humidity and temperature clearly with bright and adjustable LED lights for a clean yet modern look. And for your convenience, you can set up to 3 alarms in a few minutes intervals to replace the snooze function. Dual power mode: can be plugged in via USB cable (included), or backed up by 4 AAA batteries (not included).